Some people who own an automobile are excited to work on every opportunity they get to repair or fix parts of the automobile. A person who does not have the professional skills and experience sometimes relies on web tutorials and take these up as DIY projects. However, many people do not know that automobile is an intricate subject and it requires specific skills and knowledge to truly understand the mechanism and fix them. Inexperienced hands can be life-threatening to the rider and hence must be avoided. 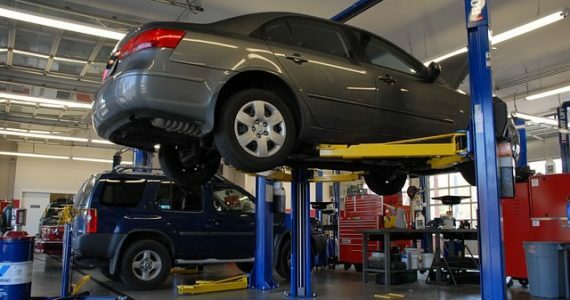 find some effective auto repairs available near your locality to help you out with the repairs. Here are a few reason why you should not do auto repairs on your own. Mending a dented body panel or painting the car is a very expensive and messy job. The job requires the right skills and lots of real-time practice for an individual to attain perfection. It will probably take you a lot of time if you try to do these tasks at home. On top of that, the outcome might not even be satisfactory due to lack of skills and practical experience. The best choice hence is to get such auto repairs done by a professional only. 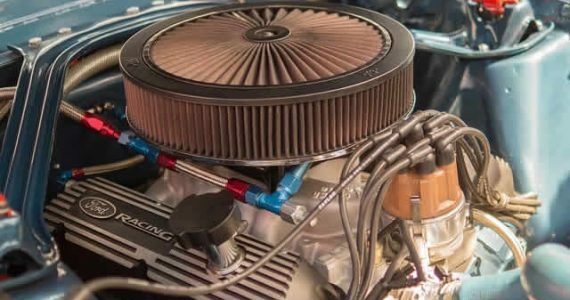 The tuning and ratio fixes demand good automotive computer skills. The job might include implementing expert techniques with relation to the air/fuel ratios, redline limiters, and shift pointers etc. Only a skilled and experienced tuner can fix these problems. These kinds of auto repairs are mandatory to be addressed only by ASE trained technicians. Windshield replacement is one of those auto repair tasks that all technicians are dreadful about. It costs around $200 to $300 to replace a windshield. Moreover, the job is very complicated as well. Any car owner must not try to do windshield replacements at home without sufficient training. It can lead to ruining the entire car and increase the repair expenses even higher. The various fixes made by mechanics in the fuel system of a car are handled with utmost care. This is because these are prone to various accidents and concerns such as third-degree burns, cause headaches, garage fires, and even unconsciousness. It is recommended to always play it safe and leave the job of such auto repairs on the shoulders of professionals only. Cracked coil springs are areas in an automobile which acts much like a super tight mouse trap and strong enough to kill even an adult man. It is a high-risk auto repair job and should not be attempted by non-professional at any cost. Cars transmission encompasses maze gears, bearings, tension less and use of the iron rods etc. It is impossible for an individual with no training to understand all these sensors. If anything goes wrong, it can be very dangerous and even cause death. The car air conditioner system sometimes requires repairs. Sometimes there is a need for a replacement when the compressor of air conditioner plunged is shocking. Once the important element of the air conditioning system is broken down, it will send small pieces of metal through every inch of the system. So, every line and fitting requirements are made to be exchanged along with the condenser, evaporator, compressor, and other different items. The entire task requires money, time, and skills. This type of auto repair should only do by trained technicians as it is highly complex. It can hence be concluded that no matter how attractive it appears trying out auto repairs only for fun is not a smart choice. There is no point in creating a dangerous outcome when ready help is everywhere. When properly maintained, the odds of your car failing to start or stopping suddenly on the highway are relatively low. However, there is always a chance that an emergency situation could occur while on the road. Therefore, it is important that you know how to handle it in a calm and safe manner. Ideally, you will be able to get your vehicle to the side of the road. After pulling over, you should put up flares or take other actions to alert others to your distress. If you can’t get your vehicle to the side of the road, make sure that your emergency flashers are on. This will tell other drivers to pay attention because your car is disabled. The first thing that you should do after your car has come to a stop is to call for help. This could mean placing a call to a local towing service, to your parents or to anyone else who can provide assistance. If there are others on the road when the breakdown occurs, they may be able to stop and help. What If No One Is Around? It is possible that you find yourself stranded in a rural area or in an area that doesn’t see a lot of traffic at night. 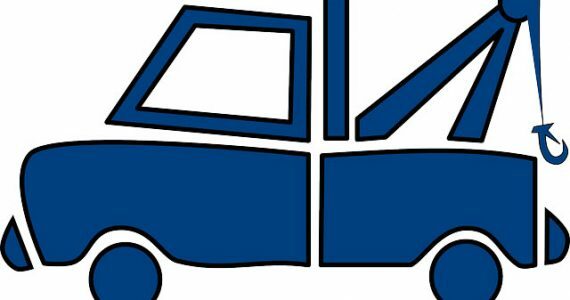 In such a scenario, you should put a flag on your vehicle to indicate that it has broken down in case someone drives by while you are sleeping or away from the vehicle. Hopefully, you will have packed an emergency kit that has a blanket, food and water. If not, it may be necessary to walk to a gas station or another location to make a phone call. If you suspect that gas or other fluids are leaking, you should get as far away from the car as possible. The same is true if you smell gas or anything else that doesn’t seem right. Depending on the weather conditions, it may be a good idea to seek shelter in a wooded area or anywhere else where you will be safe until help arrives. There are few feelings worse than your car not working properly. However, panicking is not going to make the situation better. By staying calm and only worrying about events as they unfold, you are more likely to get through the situation with your health and sanity intact. Repairing a truck is a big responsibility. Fixing the trailer that attaches to it is just as big a deal. It’s important to exercise caution prior to repairing any kind of vehicle. 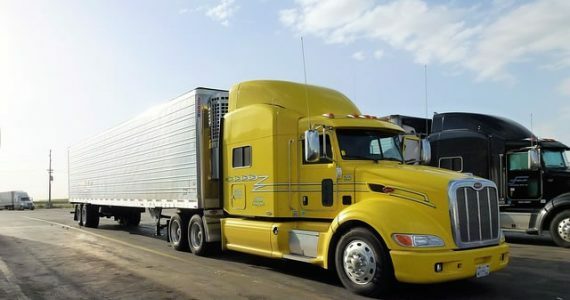 You should never approach truck or trailer repair work in a rash or impulsive manner. Put time and care into the repair process. If your truck or trailer issue is a minor one, the D.I.Y. (Do It Yourself) approach make work well for you. The Internet is home to a wealth of tutorials that can accommodate people who wish to tackle basic, simple and straightforward truck or trailer repair tasks. Online resources can also help individuals who are interested in standard maintenance strategies for trailers and trucks. Reputable automotive mechanics can provide you with truck and trailer repair service that’s trustworthy, thorough, meticulous and safe. If you want to make a smart mechanic choice, you can rely on reviews on the Internet. Search for a nearby mechanic who is well-versed and trained specifically in truck and trailer repair service as well. Your aim should be to get assistance from a technician who has a lot of experience with trailer repairs. If you know other truck and trailer owners, don’t hesitate for a minute to ask them for mechanic recommendations. Getting suggestions from trustworthy individuals can help you keep time wasting at bay. It can give you a higher degree of confidence, too. Ask other truck owners if they know of mechanics who have given them outstanding results in the past. Once your project is complete, it can help to try to avoid having to get future truck or trailer repair service. You can keep your truck safe and dependable through routine maintenance. You can do so by driving and parking in appropriate manners. You can even do so by routinely assessing the state of your radiator and fluid amounts. Remember, nothing matters more than keeping your truck safe at all times. Truck and trailer repair work doesn’t have to be something that consumes your life. If you get assistance from a capable auto mechanic, you should be good to go. It can always be wise to prioritize the convenience of routine upkeep as well. If you’re a truck and trailer lover, all of this effort will pay off. Some vehicle proprietors take pride in their capacity to do little support assignments. A significant number of us can include oil or introduce another battery. When you encounter transmission issues, repairs require an expert. Indeed, even the most gifted "DIY" repairman may be worried by the many-sided quality of transmission repairs. Ensuring your guarantee is likewise an extraordinary motivation to contact an Ajax proficient transmission specialist to settle the transmission. Your transmission is a standout amongst the most indispensable bits of an auto’s framework. Not at all like a hose you can fix, or a tire you can change, transmission issues are muddled. Despite the fact that it’s alluded to uniquely as "the transmission," it’s comprised of different parts and pieces, and every region can encounter issues. Having an expert do the repairs guarantees a precise conclusion of an issue. Transmission plans change by make and model. Proficient mechanics usually utilize PC programs that enable them to take advantage of a cutting-edge vehicle’s PC framework for an exact finding of auto issues. These projects are just accessible to proficient mechanics. The apparatuses expected to perform transmission repairs additionally mirror the many-sided quality of repairs. The transmission specialist must raise the vehicle. Evacuating and supplanting a transmission framework requires in excess of one individual. You may ask why it’s vital to visit a claim to fame transmission repair benefit, rather than setting off to a standard auto technician or administration focus. It’s actual, numerous carports can deal with basic transmission repair. Be that as it may, on the off chance that you need a more elevated amount of inside and out diagnostics for any issue your transmission is having, take it to transmission master. 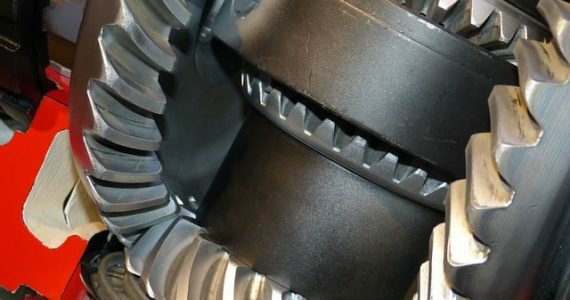 On the off chance that you depend on your vehicle to cross-ruff and unfriendly conditions, for example, terrible climate or rough terrain, particularly with over the top loads, it’s principal to keep up a solid transmission. An accomplished transmission ace will be more learned and insightful about the things to search for, for example, keeping minor issues from every day wear-and-tear that can finish into more huge issues down the line. A great part of the time the normal auto shop is a Jack-of-all-exchanges as opposed to a pro. Despite the fact that this isn’t generally the case, commonly, they don’t have legitimate preparing for diagnosing numerous transmission issues, particularly in more heavyweight vehicles like vans and trucks. This can bring about misdiagnosing of issues or inability to appropriately settle a transmission, which can return to haunt you. Your nearby technician may have the instruments expected to dismantle a vehicle, that does not mean, in any case, they have the top of the line indicative and electronic apparatuses fundamental for transmission repair. In all honesty put, transmission work is simply too expensive and basic to individual security to surrender over to any type of mystery. Two guarantees become an integral factor here. To start with, you secure your autos guaranteed by having an expert repairman finish the repairs. Second, proficient mechanics offer guarantees on their repairs. This implies in the uncommon case the technician misses something or the repair is flawed, you’re shielded from paying more for extra repairs. General flush administration of the transmission repair administration can recognize the issue of the transmission precisely. With the cleaning strategy utilized as a part of flush, the breaks and the rotting seals in your transmission will be uncovered. It will be more moderate to supplant the gasket, or the seal as opposed to sitting tight for a serious harm that will provoke you to supplant the entire transmission. No matter how close your bond is with your car, it can be frustrating to have to take it to the auto shop on a seemingly weekly basis. Even if you believe that your car has nowhere to go but the junkyard, it might have more life than you realize. Here are four steps to take before giving up on your vehicle. If your engine seems to be frequently misbehaving, it might be due to not changing oil at the proper rate. This should be done at a rate of around every 5,000 miles driven or in six-month intervals. When you bring your vehicle to a repair shop to get your oil changed, you can help the mechanics notice any other issues that might need to be addressed. By bringing new oil into your car, you can help it to run as smoothly as possible. It’s an easy solution that’s easy to take care of. A car doesn’t typically stop working all at once. It can often be an important part, such as the battery or the transmission, that goes bust. Instead of just throwing the car out, you should replace the part. Once you have the replacement part installed, you can bring the old one to a scrapyard. Just think about how much better your car could run with a new battery. How you drive can make a big difference in how long your car lasts. If you’re driving erratically, it’s going to decrease the lifespan significantly. This includes speeding, slamming on the brakes, and not taking weather conditions into proper account. Driving carefully should be considered a must no matter what, but the ability to keep your car going should be even more motivation. If you sense something is going wrong with your car, take care of it immediately. A strange sound from your engine or strange smell from your exhaust pipe shouldn’t be ignored. The more you sit on a problem, the worse it tends to get. When you figure out a way to extend your car’s lifespan, you can feel better in a number of ways. You can feel better for knowing that you can save money on a new car. You can feel better for knowing you can solve a problem effectively. Finally, you can feel better knowing that you can hold onto your car longer.